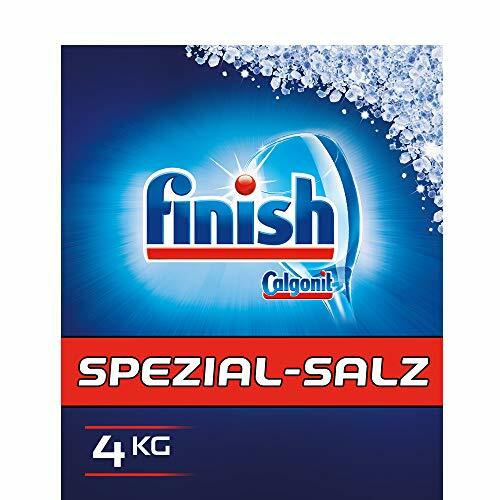 Finish/Calgonit Special Salt for powerful protection in use in the dishwasher scale filter and Sprüharmen. Protects cutlery and table-ware against limescale. 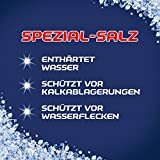 Special Salt maintains an effective working hydrosalt Premium Quality Water Softener system of your dishwasher. 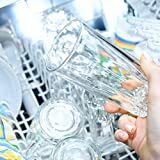 For a clean dishwasher and clean dishes. 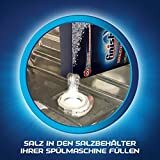 For optimal results, the use of additional/Calgonit finish dishwasher tablets and Finish/Calgonit clear rinse aid is recommended. 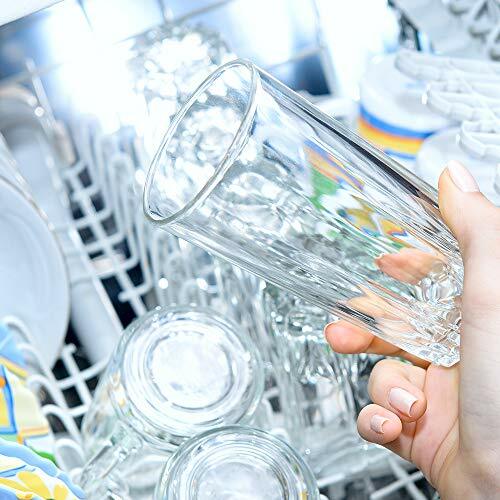 Limescale in tap water can reduce the very fast performance of the dishwasher. 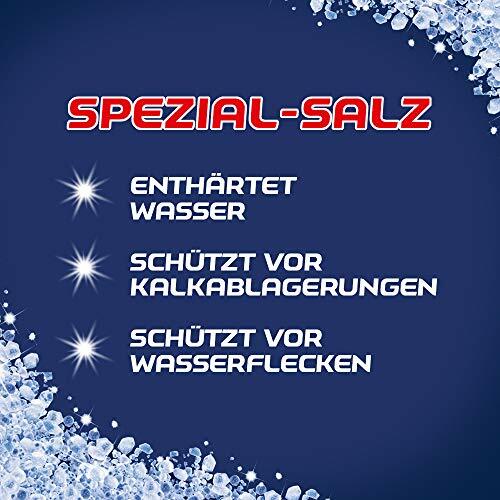 To avoid limescale, are dishwasher equipped with a hydrosalt Premium Quality Water Softener System. 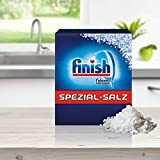 Regularly With The More Dishwasher Salt Finish Special Salt filled, protects this both dishwashing, filters and spray arms as well as cutlery and crockery. 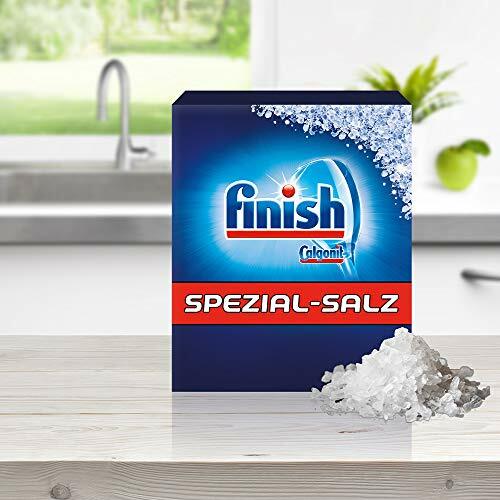 The finish Special Salt Enthärtet your water and increases the effect of your washer. The residue-free finish Special Salt eliminates deposits and water stains better too. The purity of our special salt ensures that your dishwasher the hydrosalt Premium Quality Water Softener System performs effectively. Finish Special Salt has been other pack sizes available. 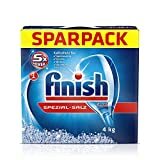 Recommended for optimal cleaning results, the use of additional finish Classic Tabs and finish rinse aid. 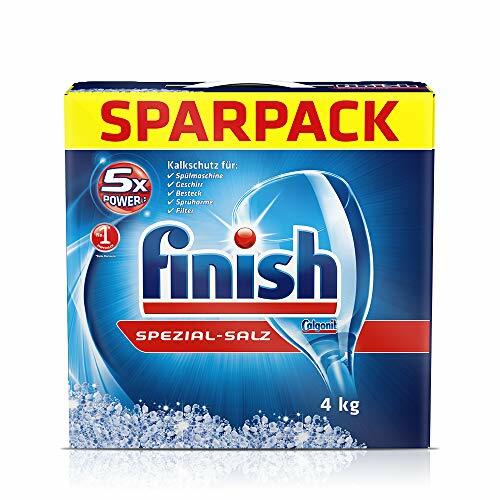 Finish is the recommended by leading dishwasher manufacturers the most popular brand.